Patrice Smith Underkofler, Probate Judge since Jan. 1997; member of the Ga. Bar since 1990; formerly in private practice; general family law, wills and estates; public educator from 1979-1986. J.D., 1990, Mercer University, M.Ed. 1986, B.S. 1979, Georgia College. Hears all probate cases, responsible for all areas of administration and operation of the court. The Probate Judge's duties are administrative, judicial, and ministerial. A certified advocate assisting victims pursuant to O.C.G.A. Section 19-13-2(d) , The Family Violence Act. Formerly Patrice Howard, remarried in 2012 to Konrad Underkofler. Judge Underkofler has one son, Stephen Howard Jr., and actively participates in the Probate Judges' Certificate Program and the mandatory certification program at the University of Georgia's Carl Vinson Institute of Government. Karen P. Owen - Hired in November 2007. Works as the chief clerk, handling marriage licenses, firearm licenses, passports, birth and death records, estates, guardianships and temporary protective order counseling under the family violence act. Has an extensive legal background having worked as a legal secretary for 20 years. Very knowledgeable in all areas but specializes in the areas of estates and guardianships for adults and children. Karen brings both experience and friendliness to her role as Deputy Clerk. Karen is a certified Probate Clerk, having completed the certification program of the Institute of Continuing Judicial Education in 2013. Became Chief Deputy Clerk in January 2014. She has a Bachelor's Degree in Accounting from Georgia College. 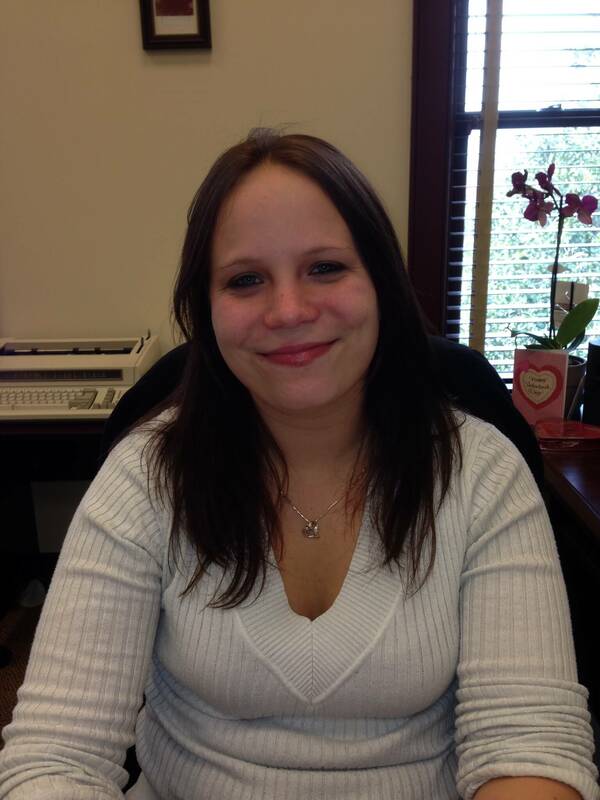 Jennifer Parmele - Works as a deputy clerk, handling firearms licenses, marriage licenses, vital records, guardianships and temporary protective orders under the family violence act. Jennifer is from Oregon, where she graduated from high school, and took two years of community college studying art. She has lived in Eatonton since 2009, and was hired in February 2015. Janice Glover Deputy Clerk in the Probate Court, hired November, 2013. Issues marriage licenses, firearms licenses, birth and death certificates. Brings 30 years of experience with the Department of Family and Childrens’ Services and has a B.S. from Georgia Southern University, 1978. Married to Larry Glover in 2010. Together they have four children.